Square Enix released The Last Remnant For Xbox 360 in 2008, but it failed to really succeed due to numerous technical issues that were a result of the developer being inexperienced with Unreal Engine 3. Well, 10 years later the game is set for a remaster on PlayStation 4, and it will come with a brand new engine that should make things run much more smoothly. “Originally released in 2008, The Last Remnant captured the hearts and minds of gamers with its enthralling story, countless characters and intricate battle system. The Last Remnant Remastered features beautifully enhanced graphics enabled by Unreal Engine 4, allowing for a more immersive and captivating adventure than ever before. 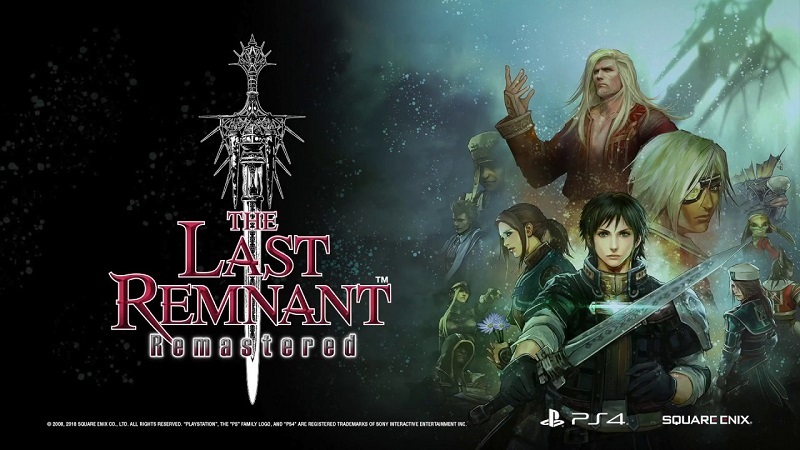 The Last Remnant Remastered will launch for PlayStation 4 on December 6th, with the price being set for $19.99. It’s going to be very interesting to see how the game is received this time around, as the game’s biggest issues were a result of the poor engine optimization. If Unreal Engine 4 is able to fix those issues then the game could possibly be seen in a completely different light.